Bad writing will make your readers spew green soup. Trust me. In a prior article, Cracking A Beautiful Mind's schizophrenic inciting incident, the distinction between goal and methodology to achieve it was touched upon and how oftentimes one is confused with the other. Misidentifying the story's goal can skewer one's interpretation of the story as a whole or, as a writer, cause major issues. Either would result in my 10th grade English teacher's reaction of slamming a book onto the desk with an emphatic "No. NO. NO! NOOOO!" To borrow an analogy from Zen and the Art of Motorcycle Maintenance, if you want your story to run smoothly on all cylinders, you can't be a romanticist who's merely enamored with what's on the surface. Nor should one necessarily rely on others to perform maintenance when it's not working properly, either. You have to be part classicist and immerse yourself in its underpinnings, its structure and how each piece contributes to the whole. Like Phaedrus, the narrator in Robert Pirsig's aforementioned book, one can become adept at diagnosing and resolving problems with regards to their own story, but they're not going to get there unless they take the time to metaphorically tear the engine apart and rebuilt it. A couple of years ago, a discussion with a fellow writer regarding The Exorcist ensued on a popular screenwriting blog. While we agreed that the main character in the story was Father Karras, the fellow writer believed the character wasn't very well executed. His main problem was the belief that Karras was rather inactive towards pursing the story's goal for most of film. The goal, as the fellow writer believed it to be when asked, was to perform an exorcism on Regan. The problem with this analysis is that it negates the entire journey for Father Karras's character and connects his personal problem with the story's resolution, giving us what William Peter Blatty admitted the story's "secret message" to be about: faith. I'm outta here. This girl, she needs an exorcism - not a priest who's lost faith. Oh wait a minute, I better go back because a priest rediscovering his faith through the existence of evil is what the story is REALLY about. It's one thing to look at a film with a posteriori knowledge, knowing what happens and that an exorcism is required as the solution - it is, after all, called "The Exorcist," but we need to keep in mind the solution is not readily apparent to the characters in the story. Otherwise, an exorcist would have been called in early on and saved us from the experiencing the journey toward understanding the problem. As it is, we experience the journey through the eyes of Karras who himself has lost faith and become reliant and psychology as a means to resolve problems. In simple terms, we cannot merely say the goal is the solution. The solution is the act that's taken to accomplish the goal. 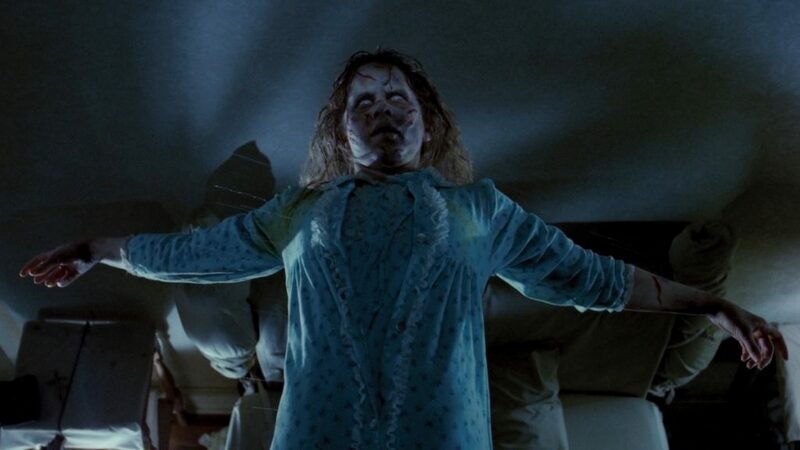 In The Exorcist, the goal is not to perform an exorcism because the characters themselves don't know what's wrong with Regan. As the Dramatica Theory of Story notes, much of a story is dedicated to characters dealing with a particular problem's symptoms before they can ever address the problem itself. Much like Phaedrus riding a sputtering motorcycle, a certain level of diagnostics is required. Sometimes testing hypothesis (in this case, via both medical and psychological means) are required to assess and ascertain what the true problem is. What are all the things that might cause an engine to sputter? This is why in the health care profession, doctors are said to be "practicing" medicine. They don't know how to treat an ailment until they know what the underlying problem is for certain. Such is the case with Regan from the various character perspectives. And, as we all know, "medical" problems often share numerous symptoms but require vastly different treatments. It's only when these paths for a diagnosis are exhausted that the characters within the story can look toward something...otherworldly. Likewise, we cannot say the story goal is to find out what's wrong with Regan, for that's merely half the battle. The goal therefore needs to be somewhat specific, yet be the basis for the journey and actions taken pursuant to accomplishing it. The trick is the goal needs to be such that it encompasses the main character's flaw/personal problem in a way that ties their journey thematically to the actions required (plot) to satisfy the story goal. In this case, "saving Regan" requires not an exorcism at all, but a literal leap of faith on Father Karras's behalf after being possessed himself. By allowing the story to explore the nature of Regan's malady, the audience, as well as the main character, are afforded opportunities to see the problem from various perspectives. Is it an illness? Is it psychological? Is it demonic possession? All of these are touched upon, forcing Father Karras to confront his own lack of faith after the death of his elderly mother. The evidence mounts while other explanations are exhausted, leaving Karras with only one choice: to accept it as a demonic possession, which, as Blatty exclaims in his op-ed, spurs the notion if demons exist, then so too must God. To forgo all these prerequisites would be to strip the story of its meaning, particularly through Father Karras's struggles, leaving us with a story that sputters along until it stalls on the page with the author (reader or even viewer) kicking dirt, left only to cherish a romanticized view without any inkling how to get it up and running again. Just as Luke Skywalker in Star Wars needed both the force and an x-wing fighter to destroy the Death Star, Pirsig ultimately realizes in his book that both romanticism and classicism are needed when determining Quality. To become proficient at anything, one must develop their own analytical toolbox by constantly seeking to know the details, understand inner workings and master the mechanics while marrying that knowledge with their creative inspiration and intuition. Sure classicism sounds dull and tedious, much like like motorcycle maintenance itself does, but the notion is applicable to so much more - including writing. Being a better story mechanic? That was ultimately my English Teacher's goal despite the methodology (bang bang BANG BANG!) she often applied on our journey to get there. Next Next post: It WAS the boogeyman: A look at John Carpenter’s Halloween.